11 MB|Several GOOGLE FORMS TO CHOOSE FROM, pdf incl. 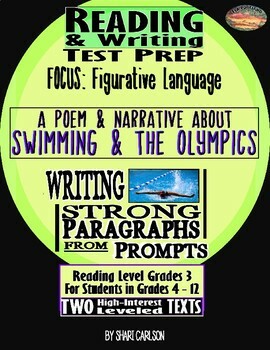 Prepare your students for STATE ASSESSMENTS. But it's MORE than just test prep. It's GOOD writing. 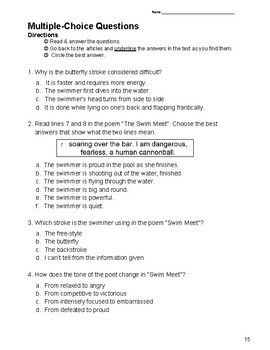 "SWIMMING" is a POEM about swimming in a race. 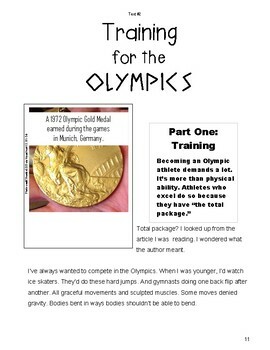 "TRAINING FOR THE OLYMPICS" is a NARRATIVE FICTION story about a swimmer who decides to train for the Olympics. Several GOOGLE FORMS TO CHOOSE FROM, pdf incl.